Before anyone asks; this isn’t some weird comedy horror movie. Far from it, in fact. 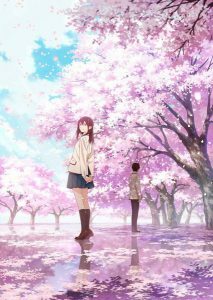 Yesterday, a second English subtitled trailer went live for the upcoming movie I Want to Eat Your Pancreas. According to my research, the title is a variation on something that mothers say to their children when they’re sick. The movie features an unnamed male main character who finds a diary in a hospital one day. The diary belongs to a female classmate who is dying from a terminal illness in her pancreas. No one, apart from family members and himself, know of the illness, or that she only has a few months left to live. The unnamed hero takes it upon himself to keep her secret and to be together with her for her last few months. So obviously, this is going to be a light-hearted, fun for the whole family kind of feature, right? The cast for the movie features Mahiro Takasugi voicing the main male character and Lynn will play the female lead, Sakura Yamauchi. The movie will open in Japan on September 1; Aniplex of America has already announced plans to screen this movie in theaters across the United States. The movie is being produced by Studio VOLN and features Shin’ichirou Ushijima as director and writer. Yes, the title of this one sounds weird to our ears, but that doesn’t change the fact that this sounds like it’s going to be a powerful film. So… the third season of Free! coming out this summer isn’t enough for you? You need MOAR MANSERVICE? 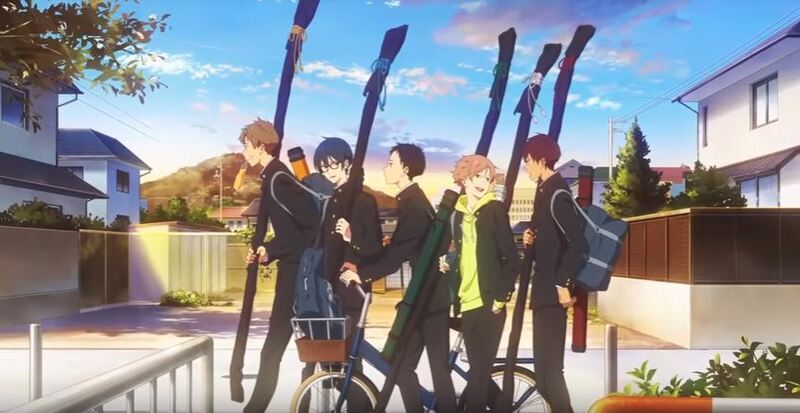 Kyoto Animation has got you covered with yet another all-boy series coming out this October. 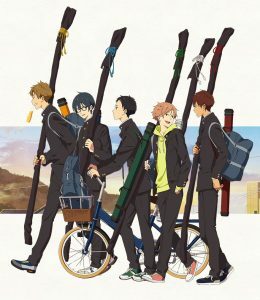 A new teaser trailer went live last night for the upcoming series Tsurune: Kazemai High School’s Archery Club. In the short 42-second trailer, we are introduced to all of the main characters though we don’t really get to see them in action. I also don’t speak fluent Japanese so if they revealed anything about the story, I missed it. What we do know however is that along with visuals from Kyoto Animation, we will have Takuya Yamamura in the director’s chair and Michiko Yokote handling series composition. 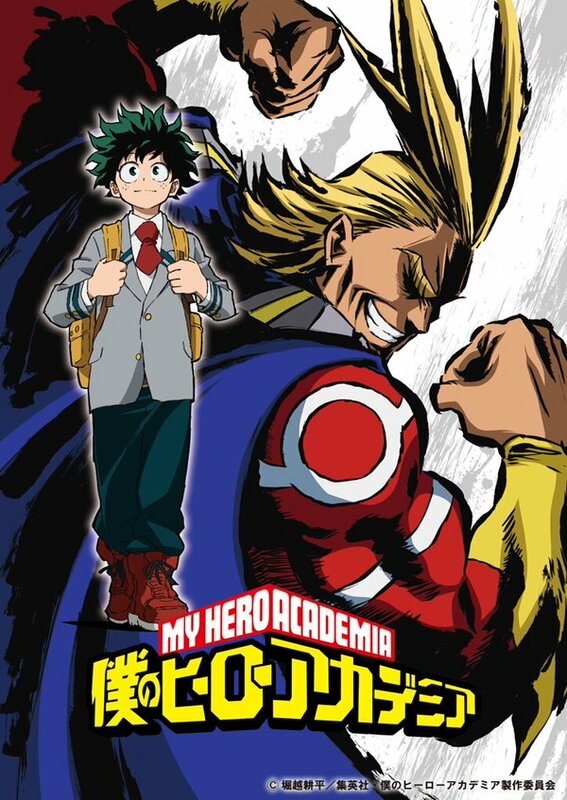 I openly admit that I have zero problems with series that focus on budding relationships between young men who must overcome adversity together as a team. It’s a itch that doesn’t get scratched often enough, and I think that Kyoto Animation is doing a great service to the community by expanding everyone’s horizons and showing them something that doesn’t involve cute girls doing cute things. Will you be checking this series out in October? I’m not going to do it. You can’t make me and if you think that looking at me like that is going to change my mind, you’ve got another thing coming. That’s right, a new trailer for the upcoming My Hero Academia: Two Heroes movie hit the internet yesterday and it is a glorious 92 seconds of everything we love about this show. The trailer is more than just a 92-second sizzle reel though, as it also reveals a new cast member: Rikiya Koyama playing the villain, Wolfram. If you’re listening not-so-closely, you’ll also hear the movie’s theme song Long Hope Philia by Masaki Suda kick in at about the minute mark. Is your appetite sufficiently whetted? Good, because there isn’t much time left before this movie premieres around the world. It gets its world premiere at Anime Expo in Los Angeles on July 5th before hitting the big screen in Japan on August 3rd.